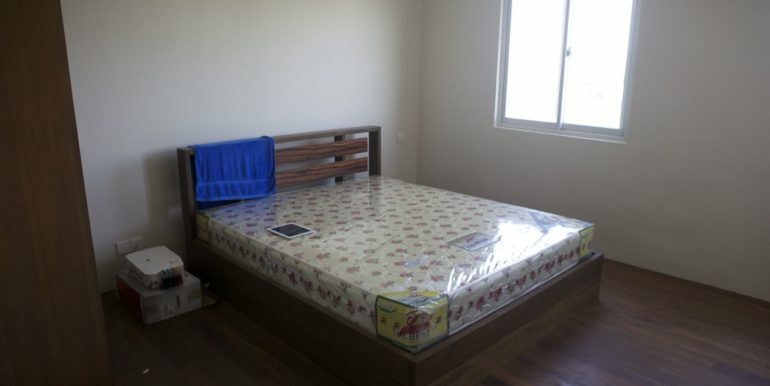 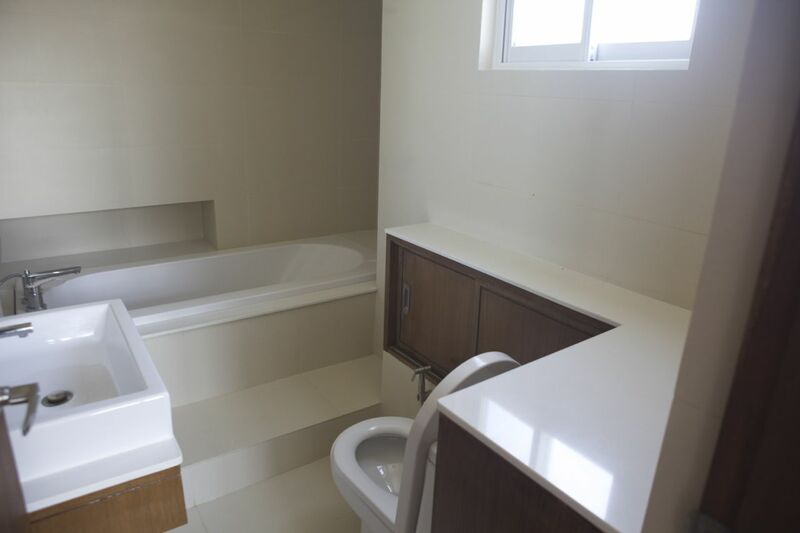 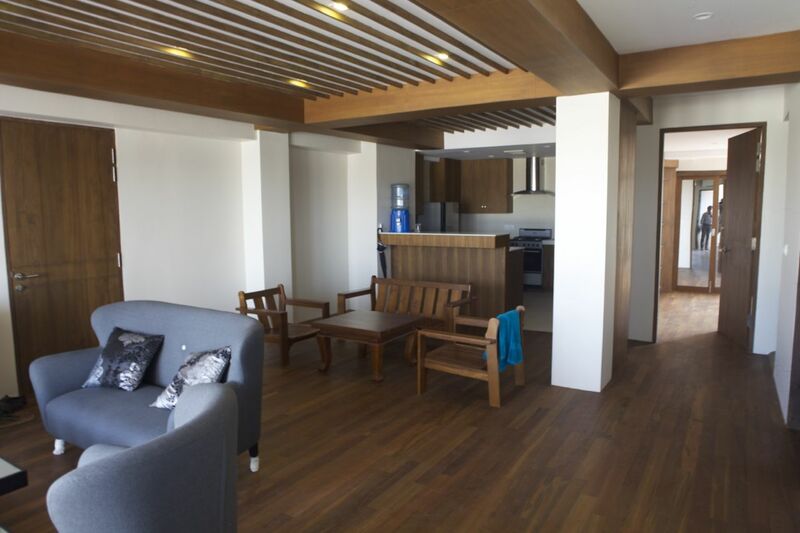 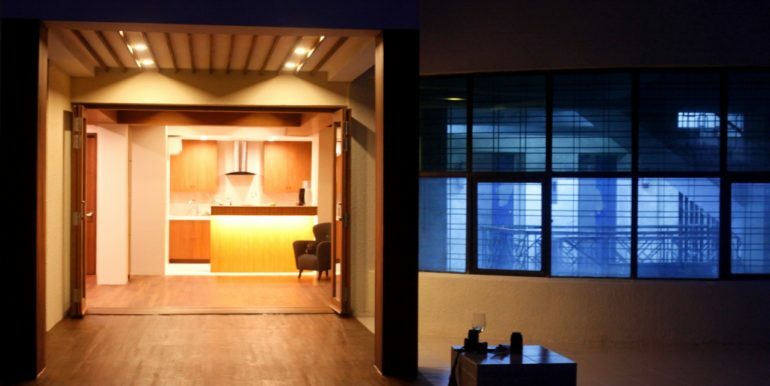 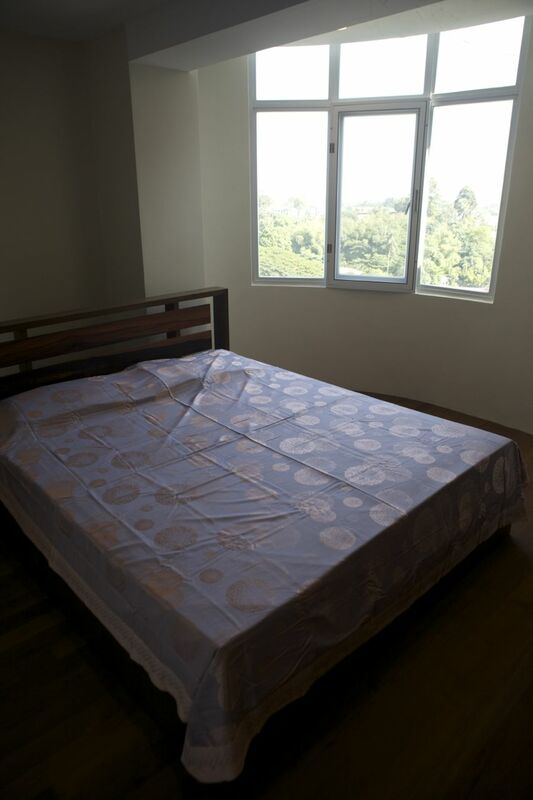 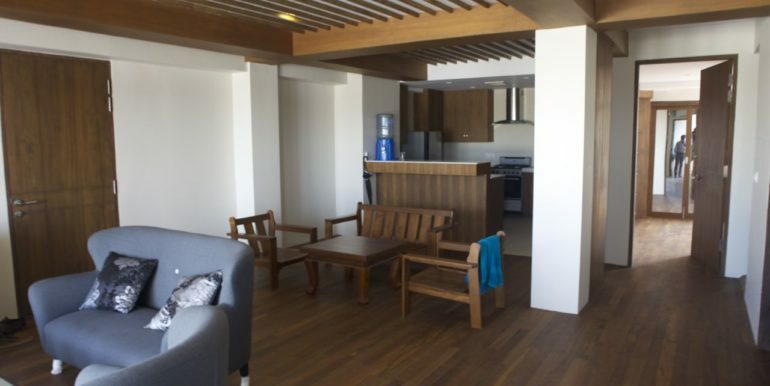 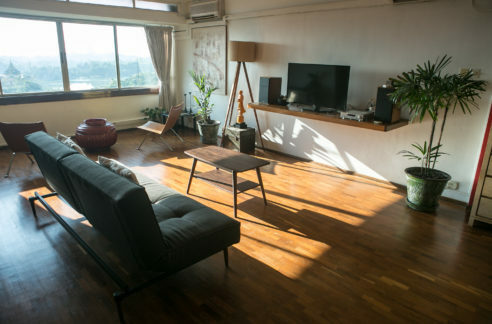 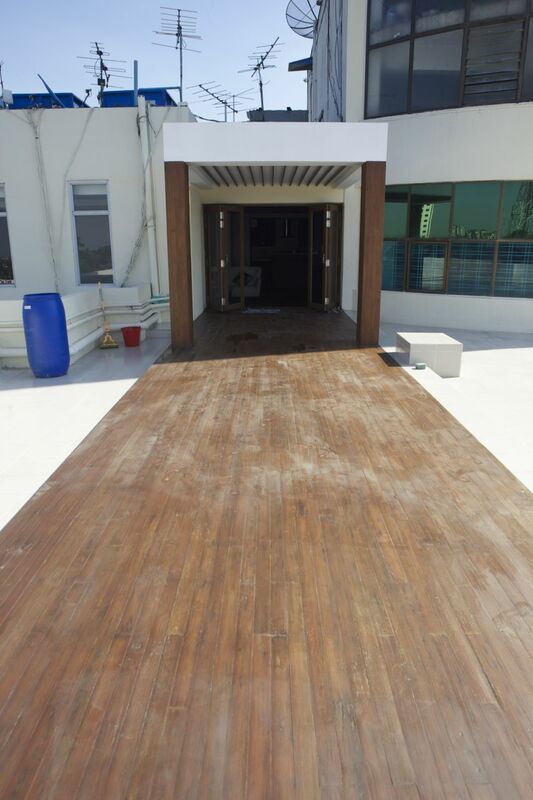 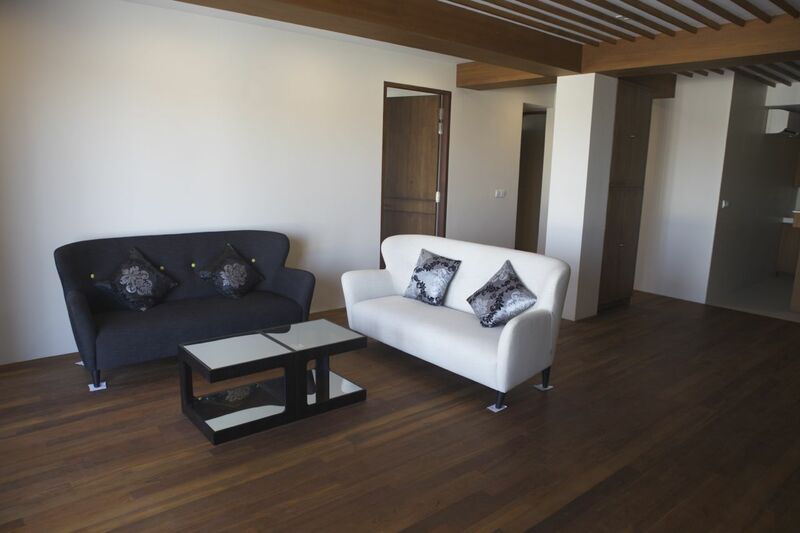 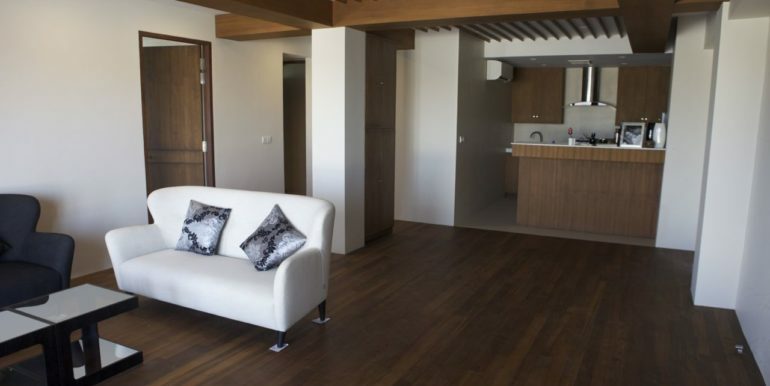 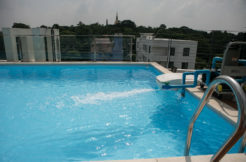 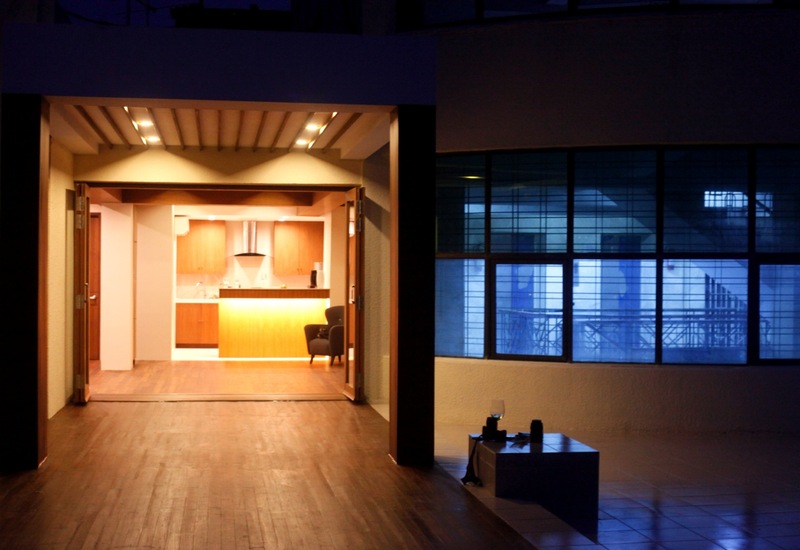 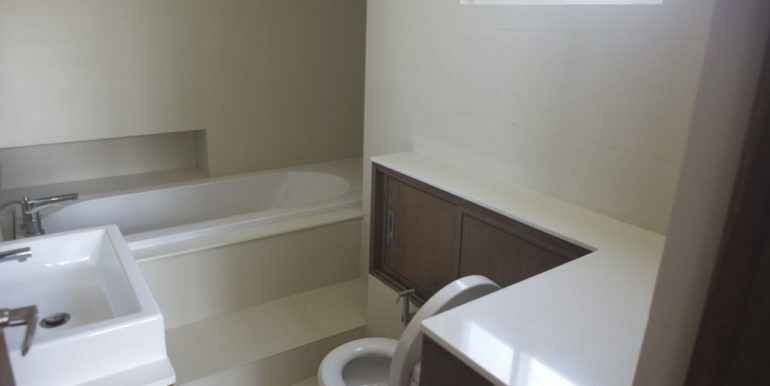 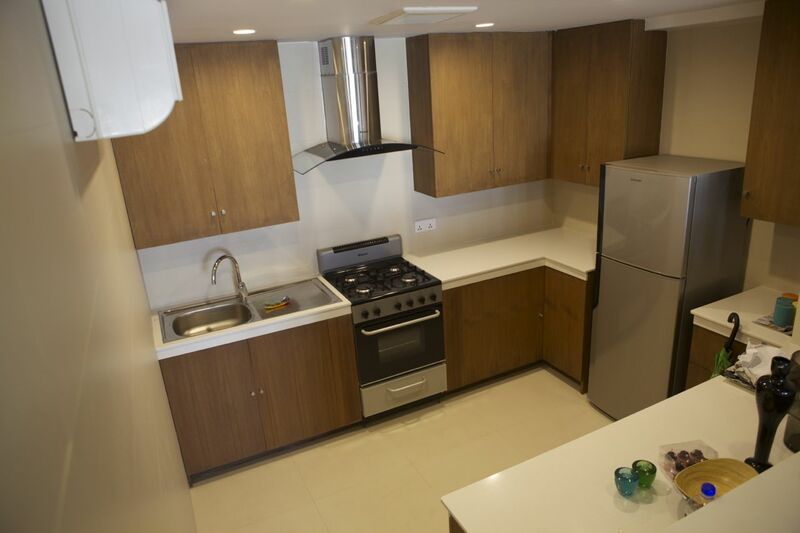 Rent this 2-bedroom penthouse flat in Bahan Township and you’ll never want to leave home again. 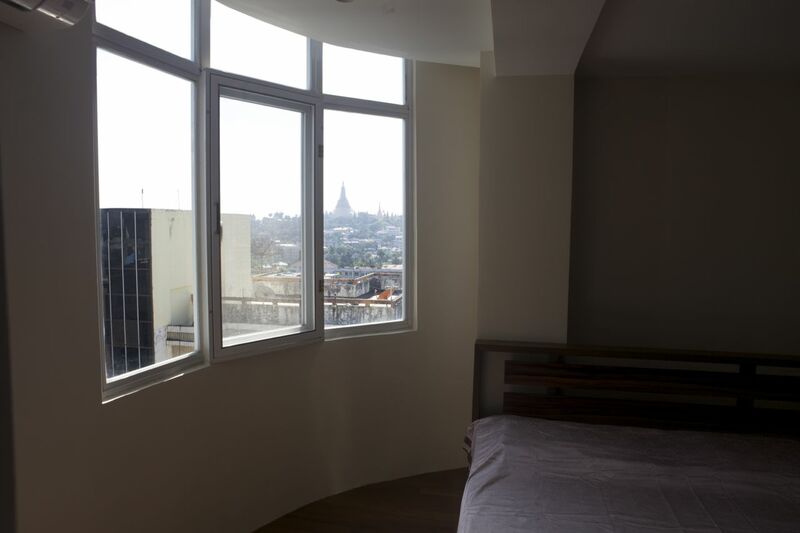 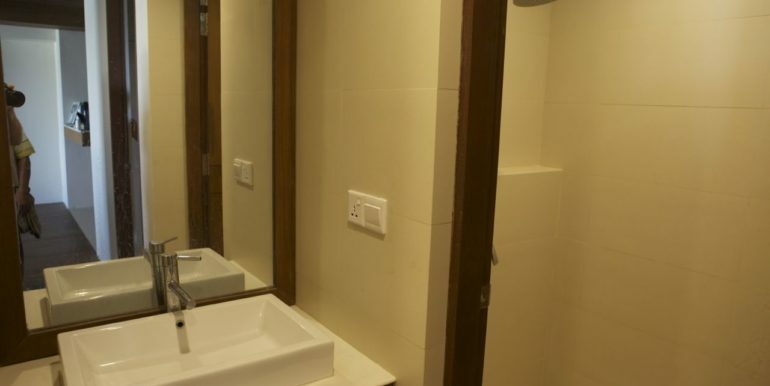 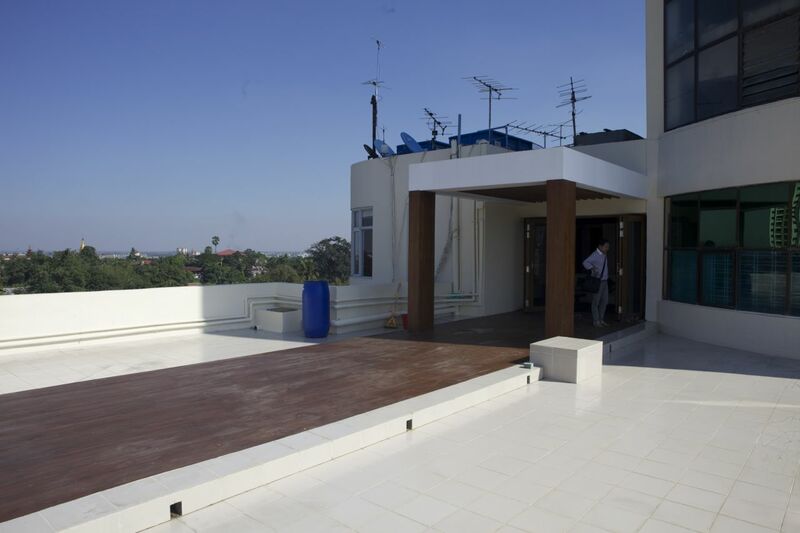 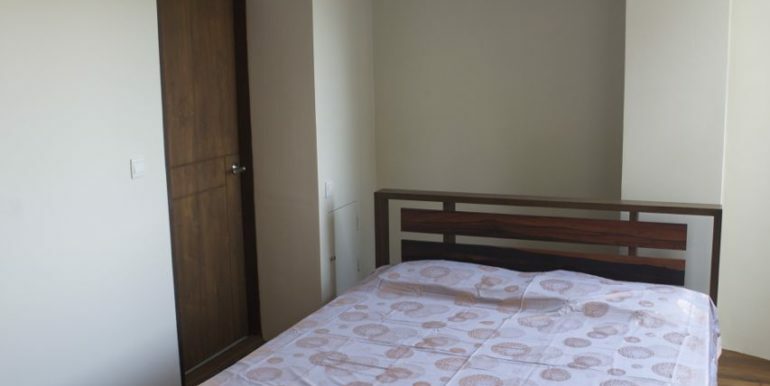 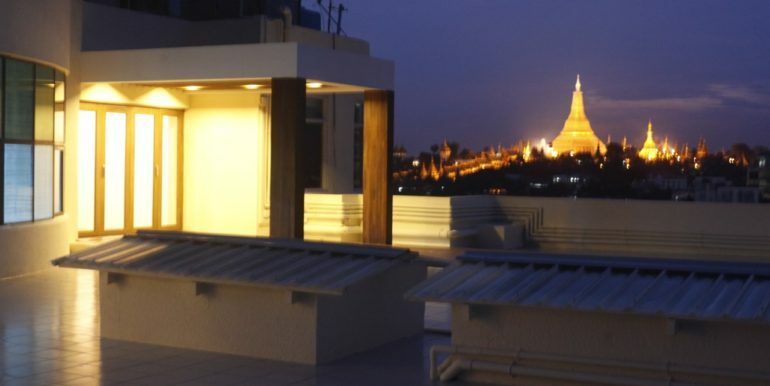 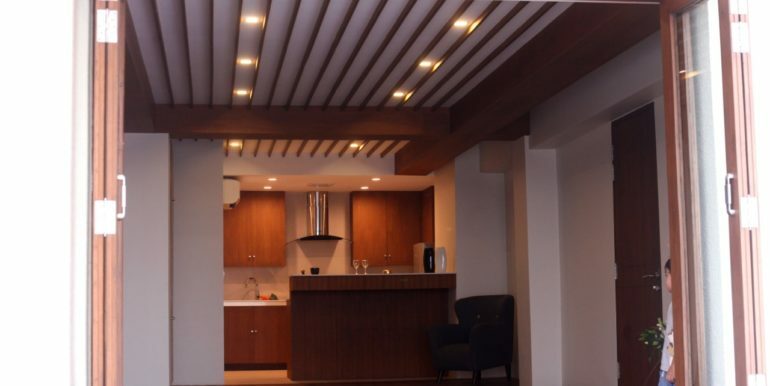 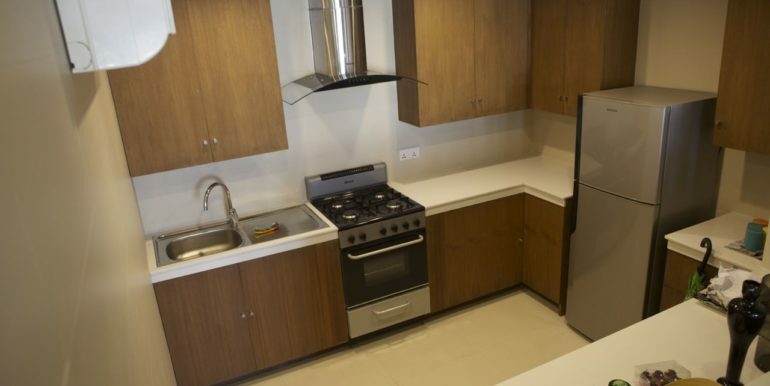 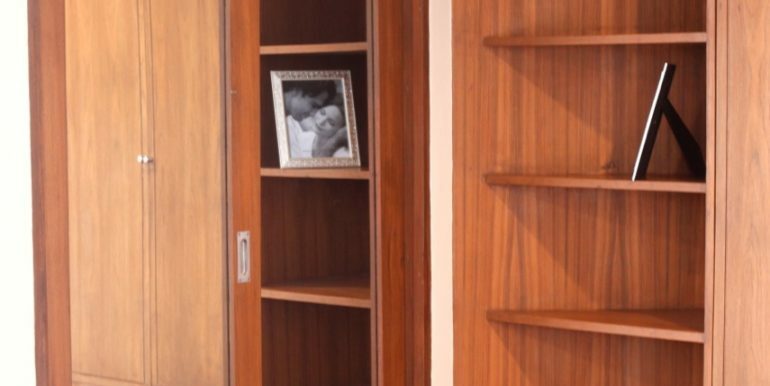 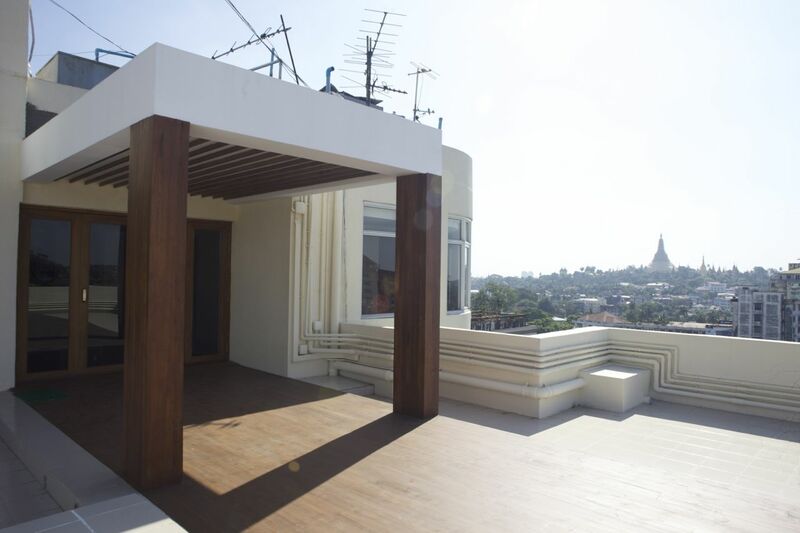 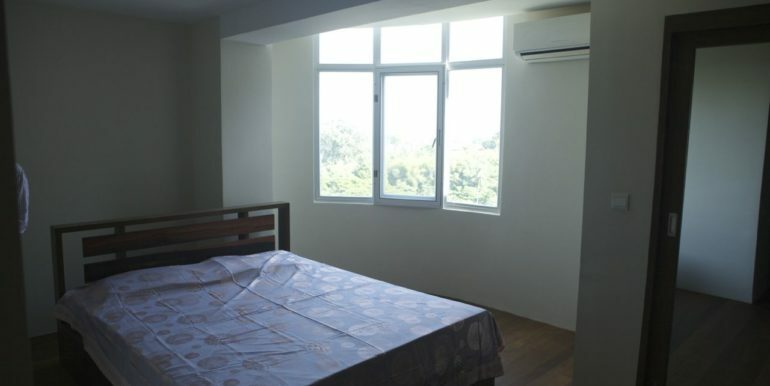 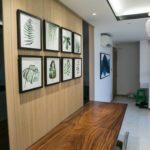 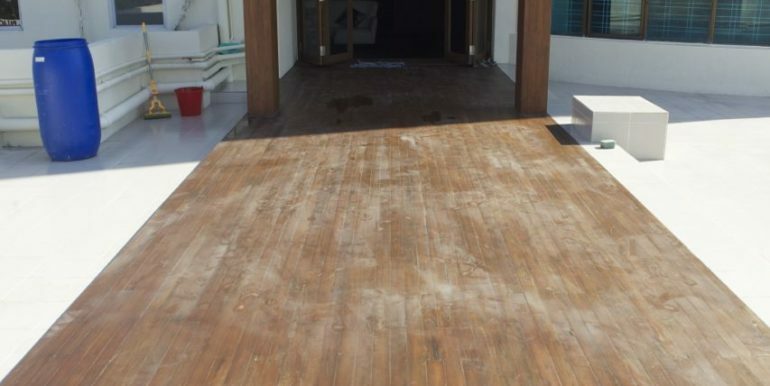 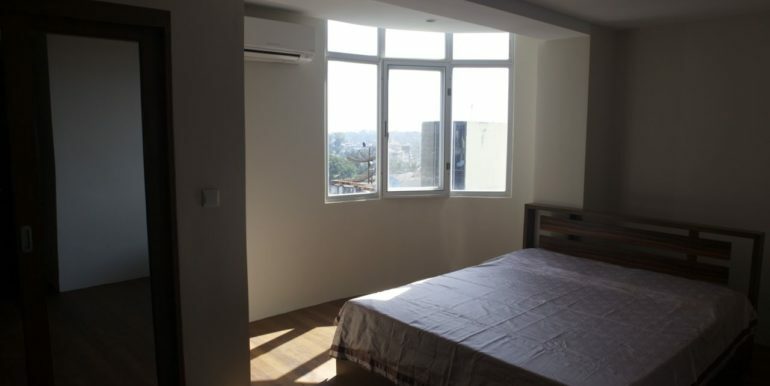 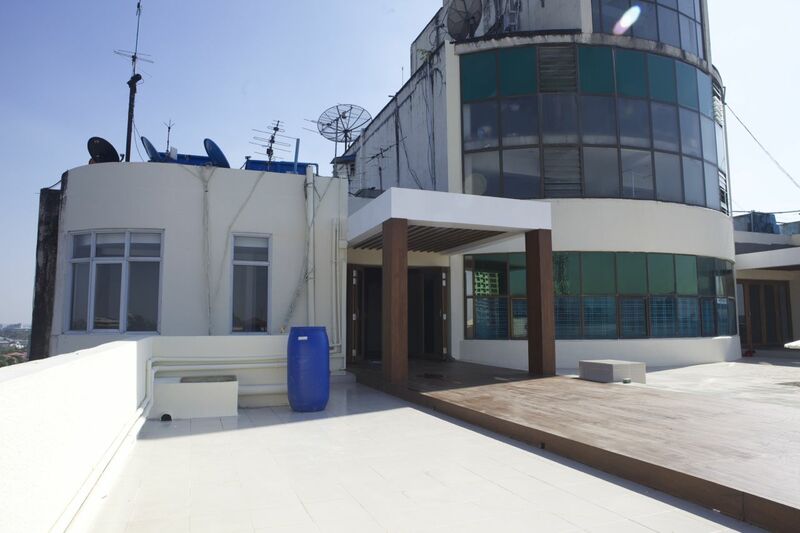 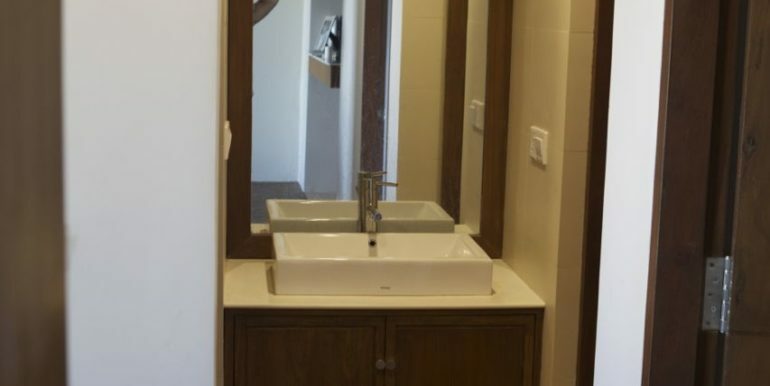 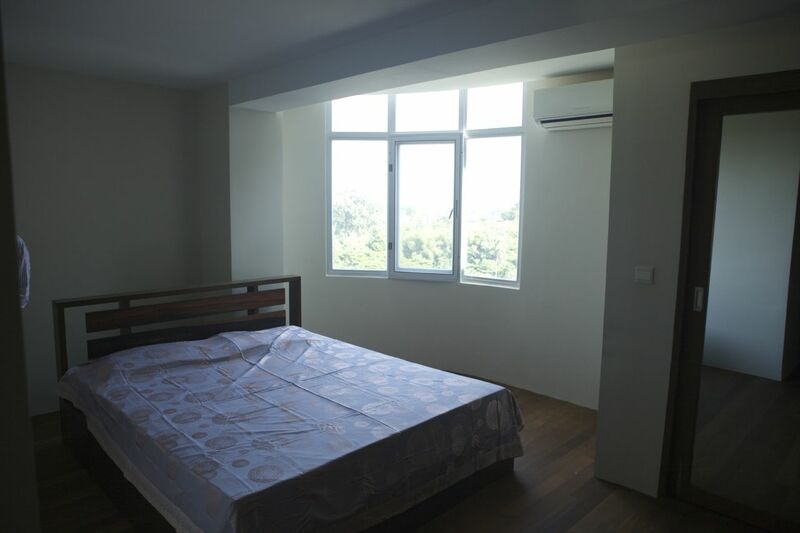 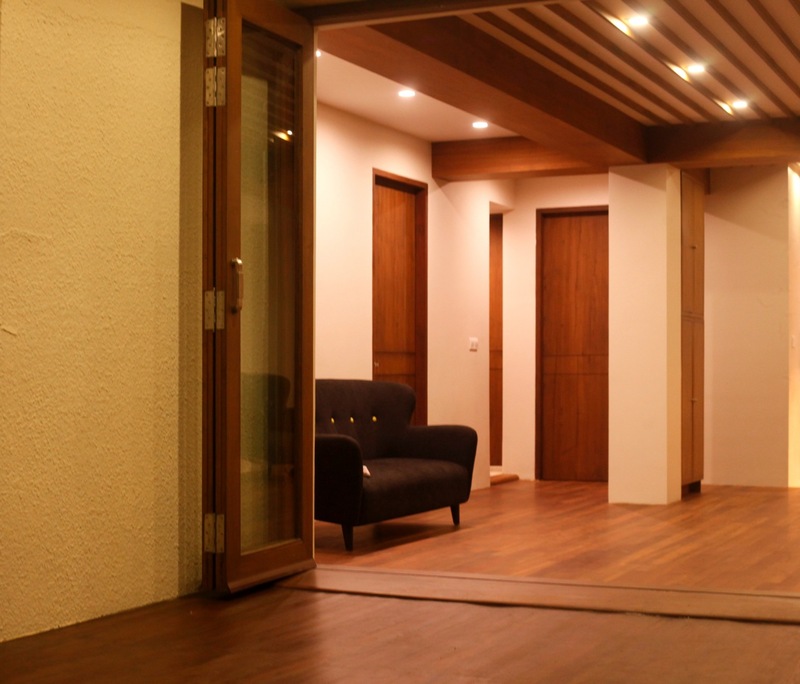 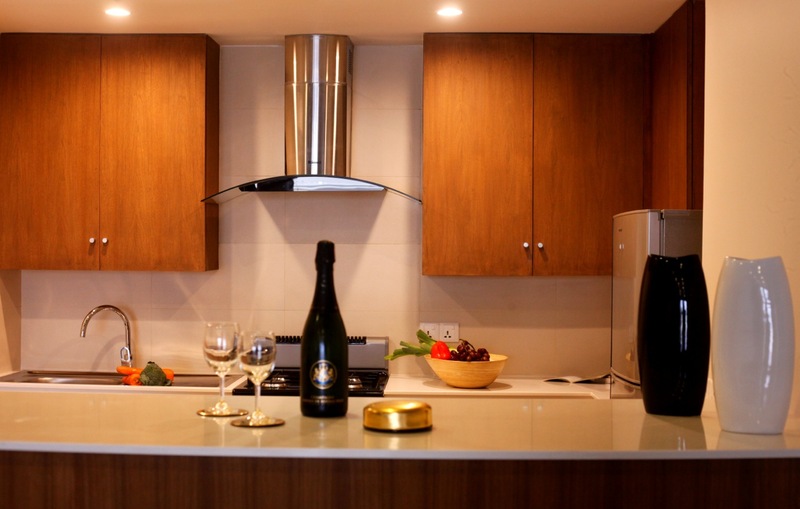 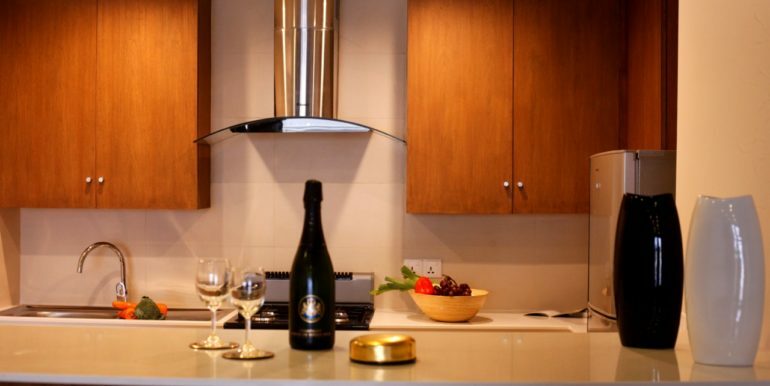 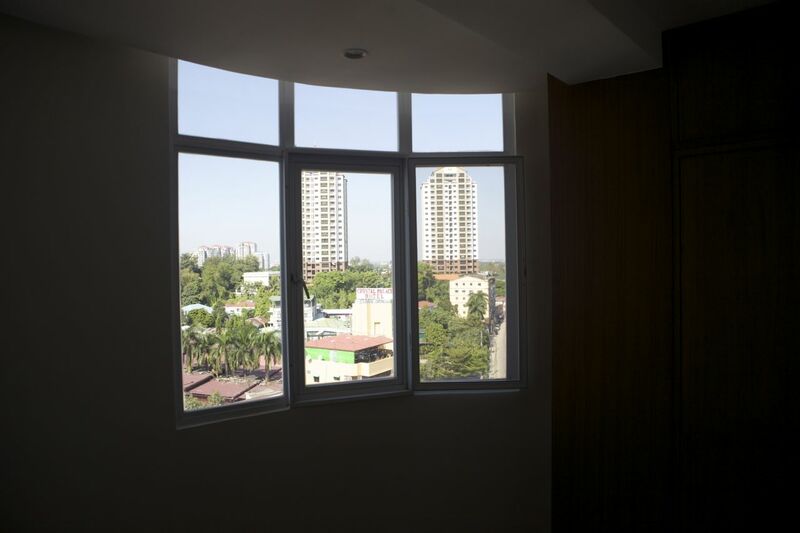 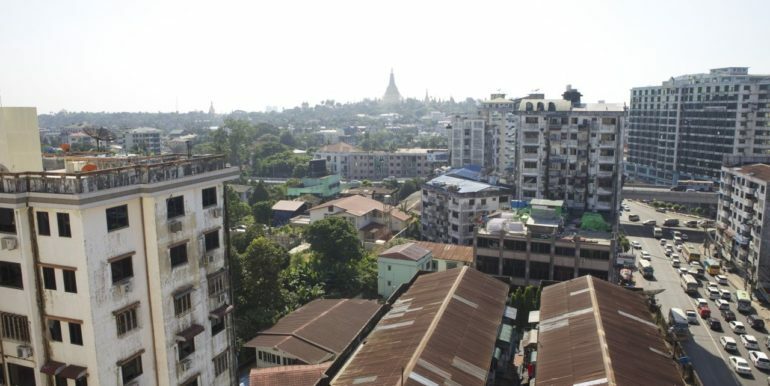 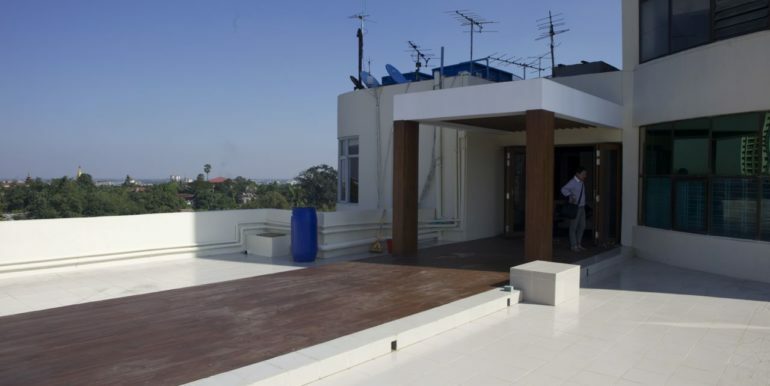 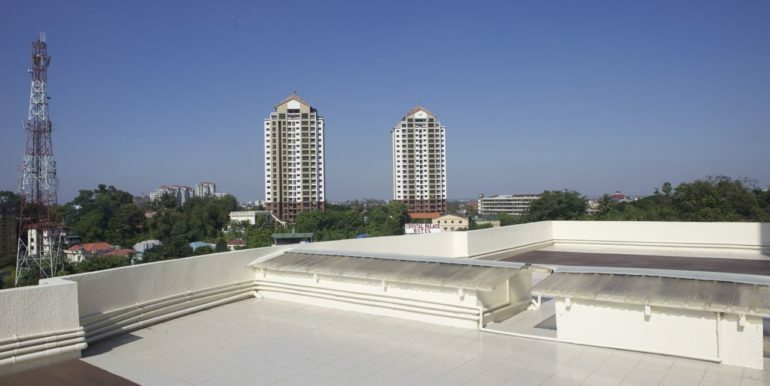 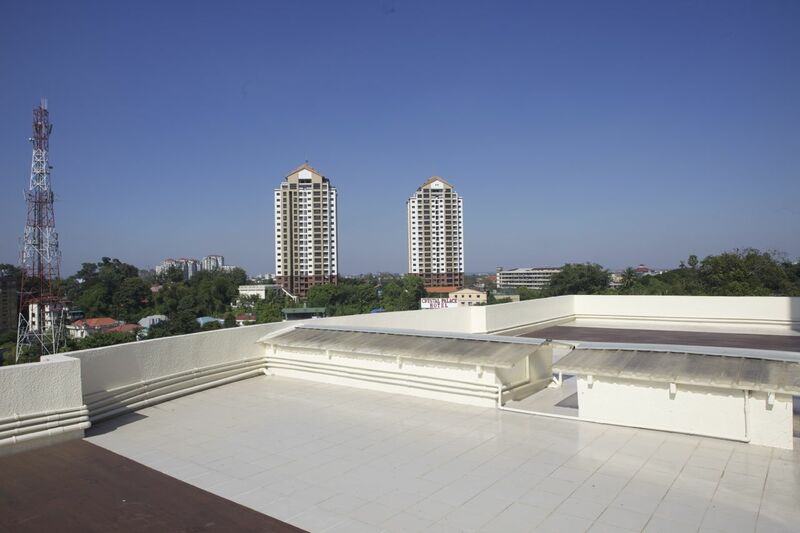 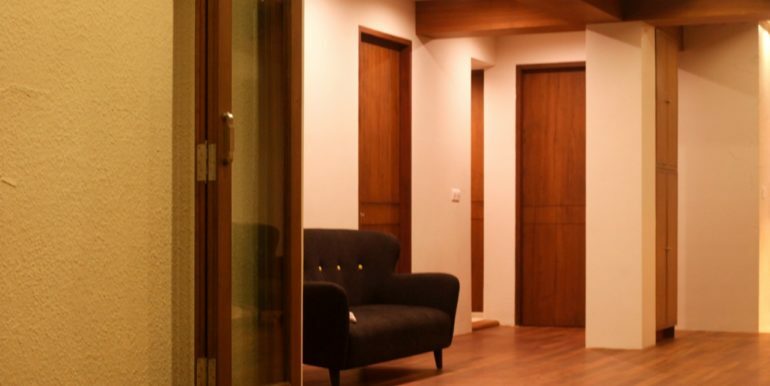 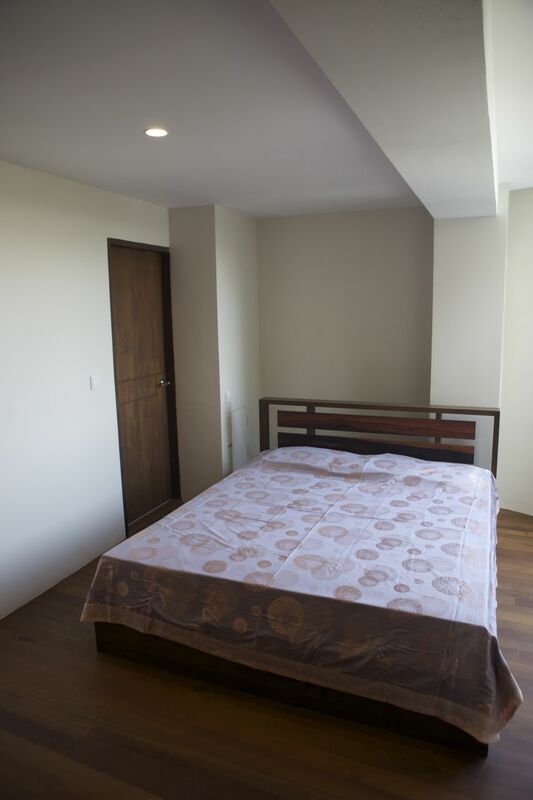 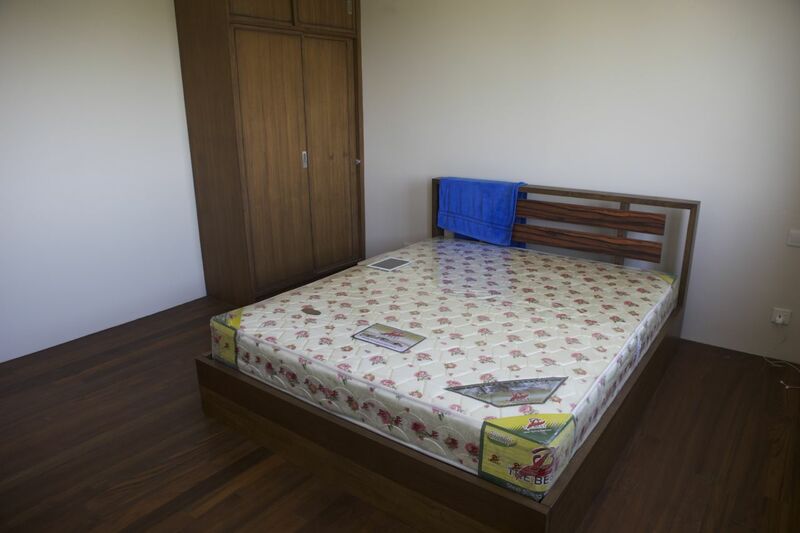 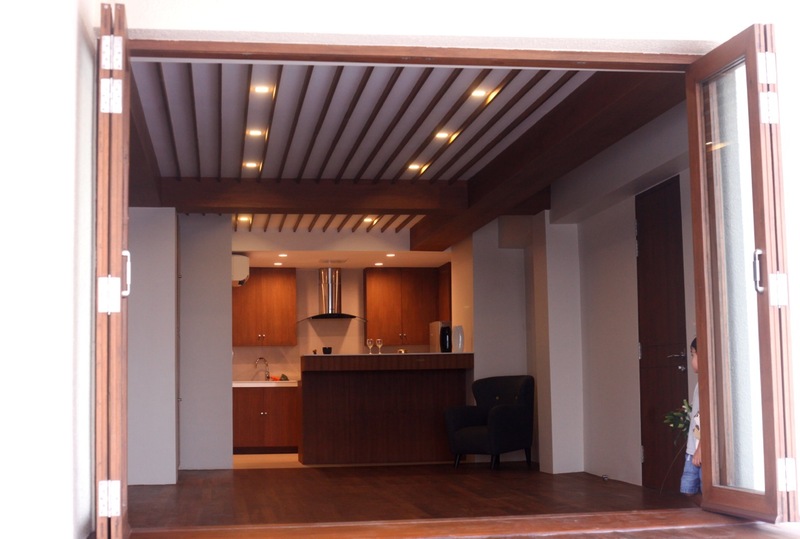 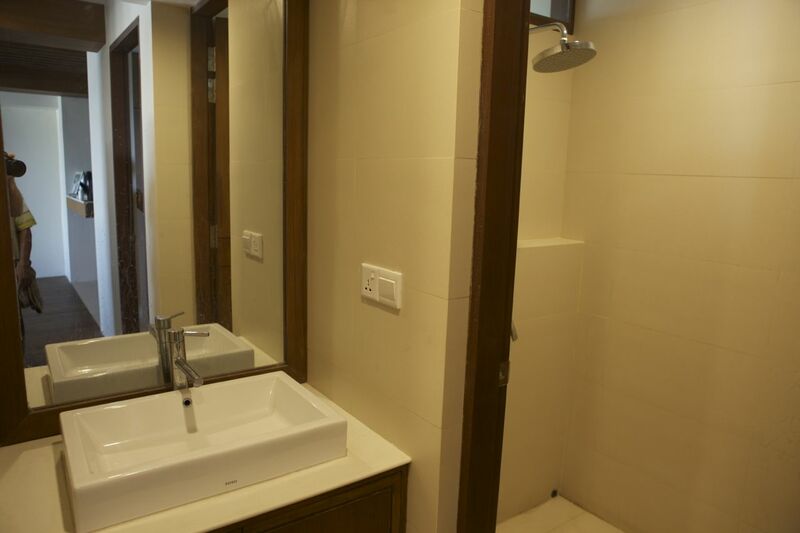 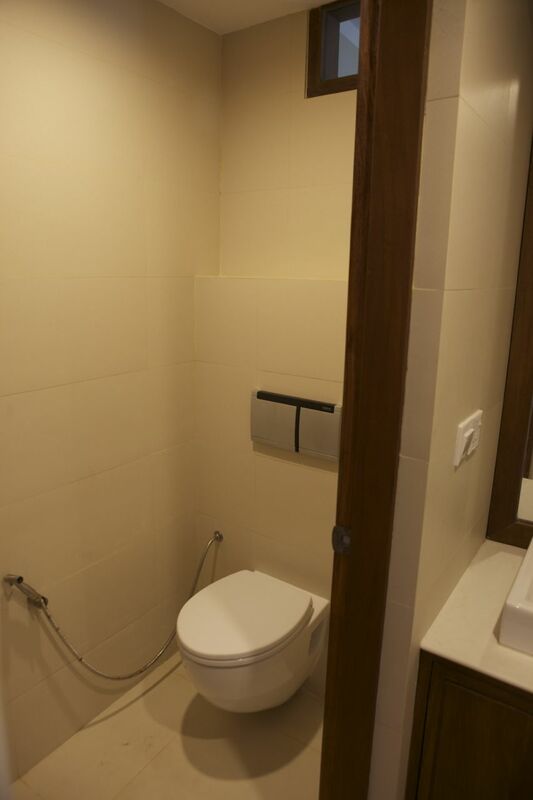 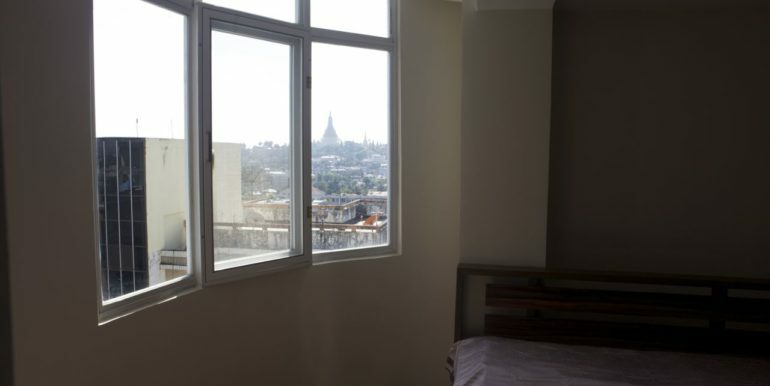 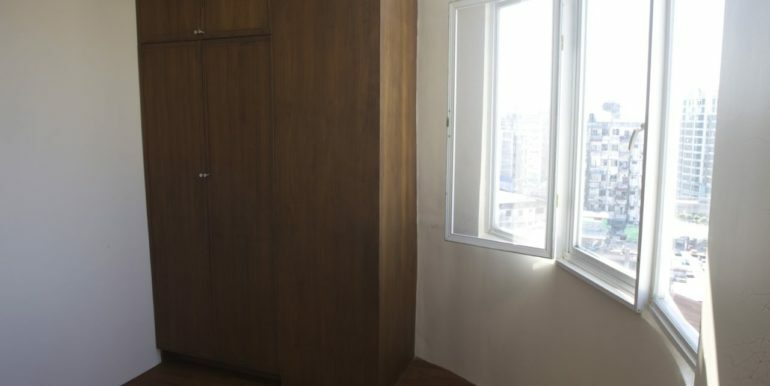 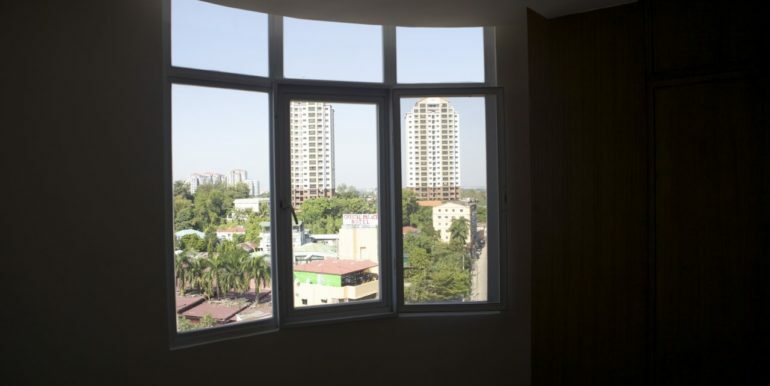 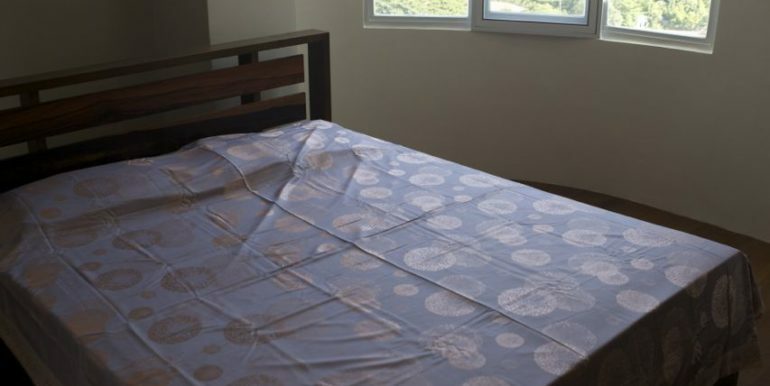 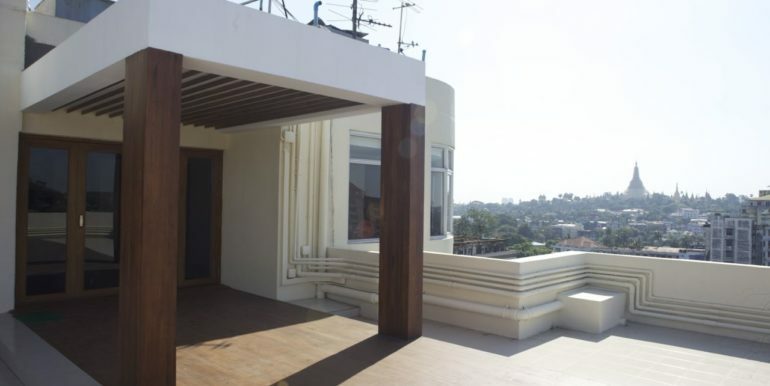 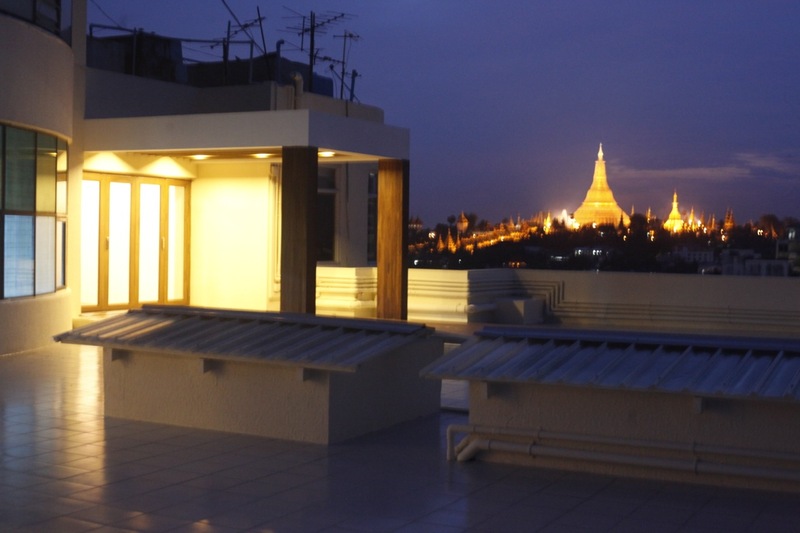 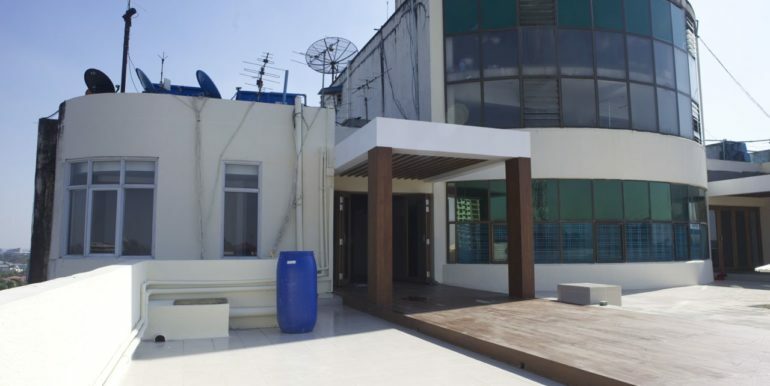 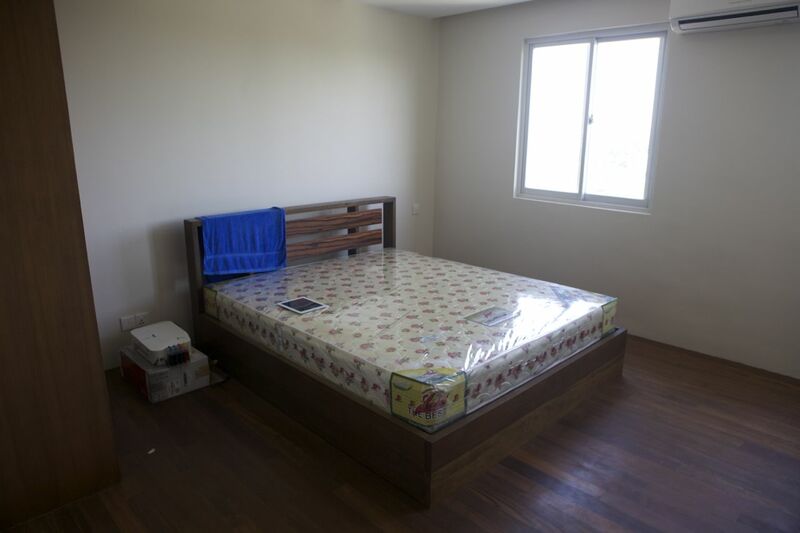 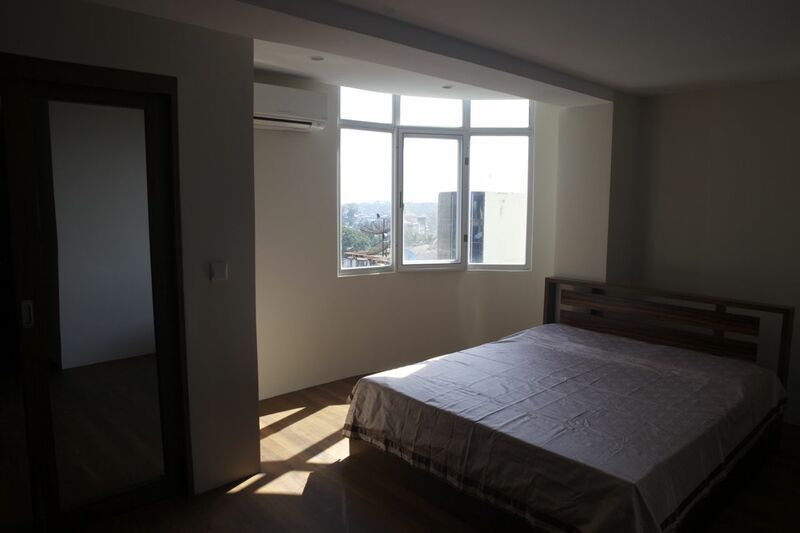 Featuring a 1000-square-foot front terrace with direct views to Shwedagon Pagoda, this unit is offered fully furnished and in excellent overall condition. 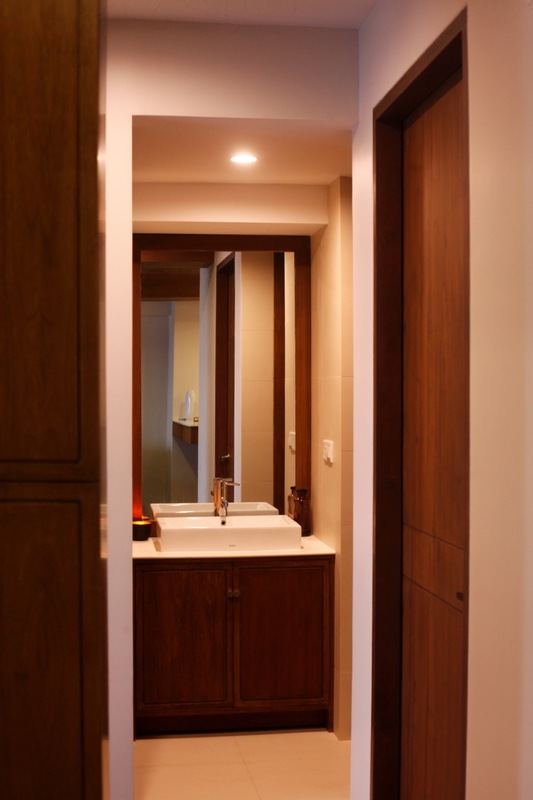 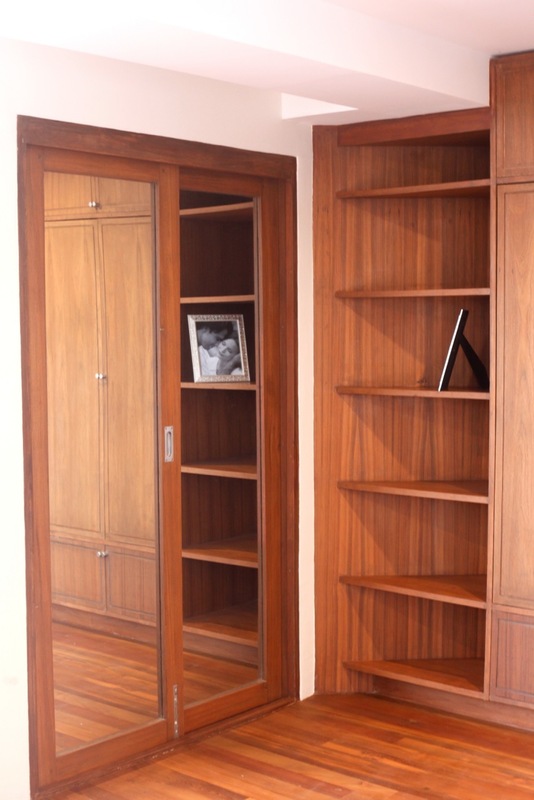 The unit is compact and measures about 1200 square feet but what it lacks in size it more than makes up for in style and quality. 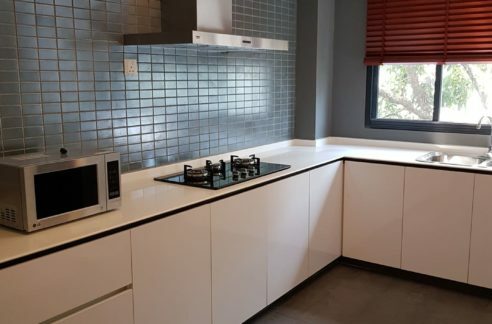 The kitchen is tucked away behind a breakfast bar and overlooks the living and dining room, which is perfect for entertaining friends and family. 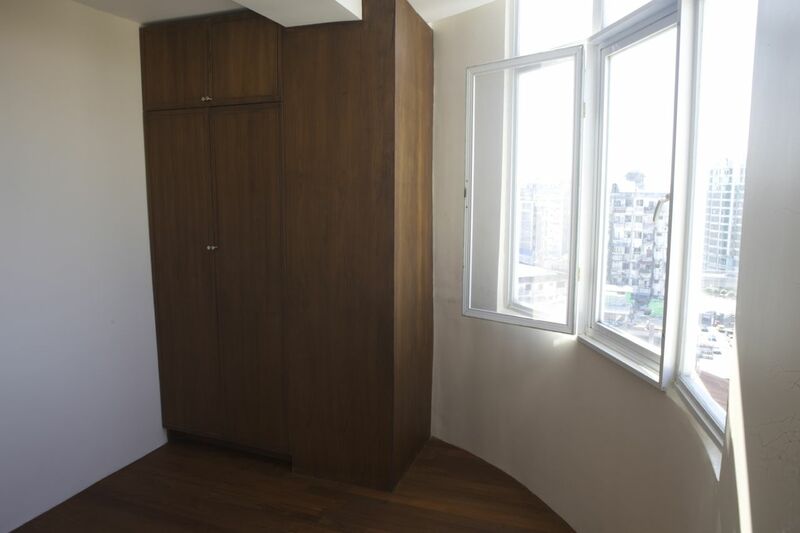 There are two bedrooms – one master + ensuite at the rear of the flat – and a single in the middle, both feature extensive builtin storage space and plenty of natural light. 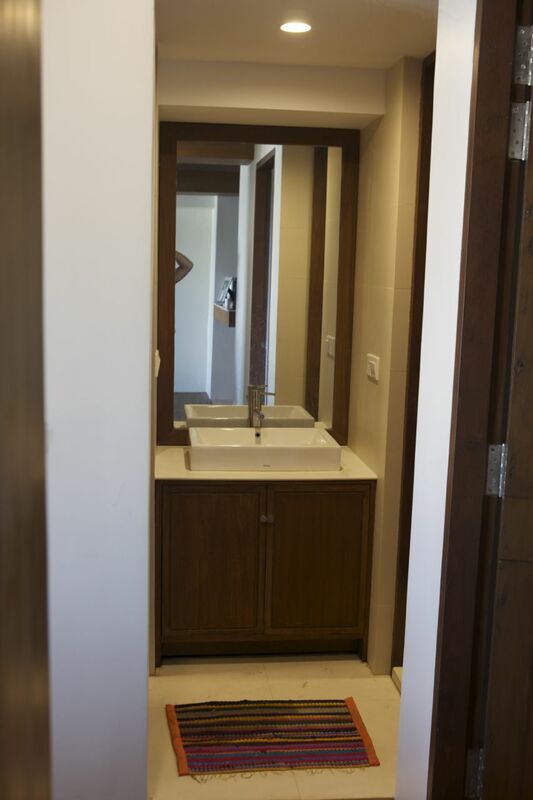 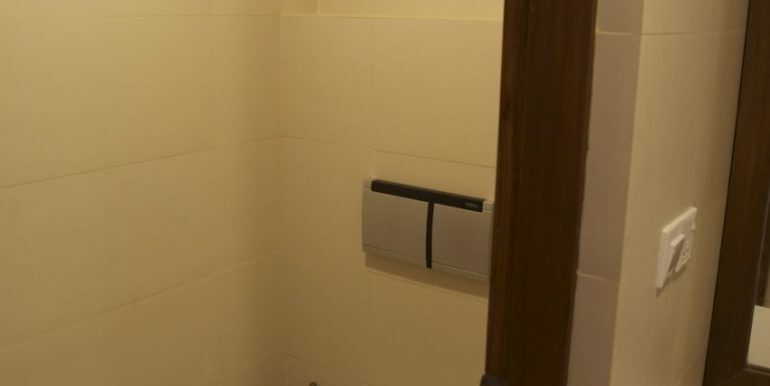 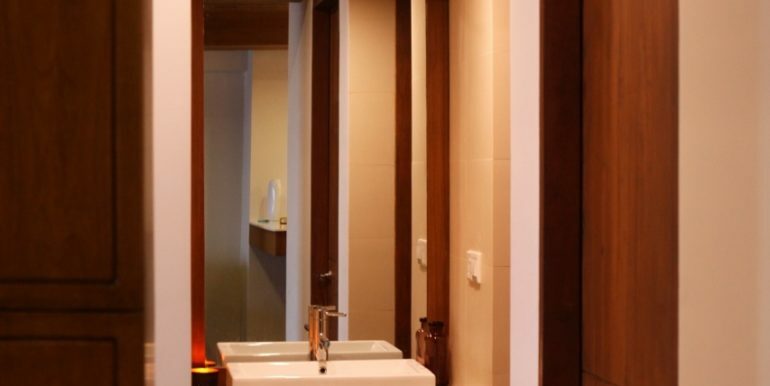 The bathrooms both have hot water and a pressure pump, while the master bedroom also has a lovely and large bathtub. 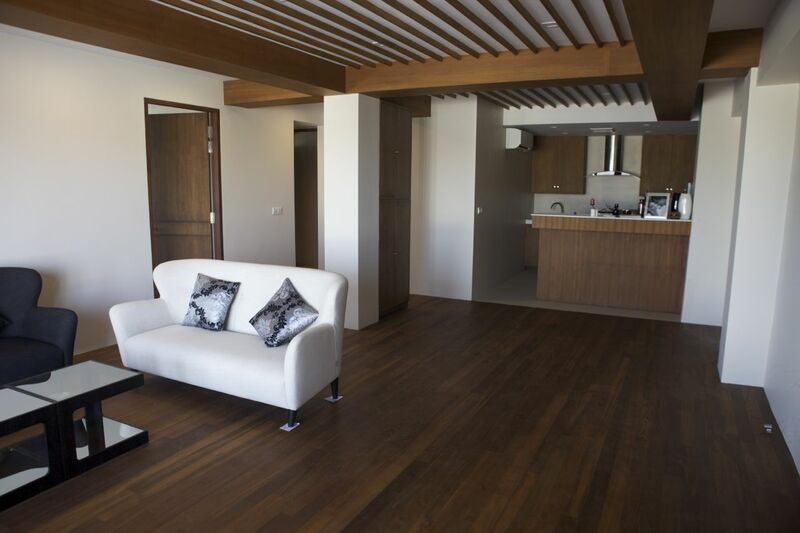 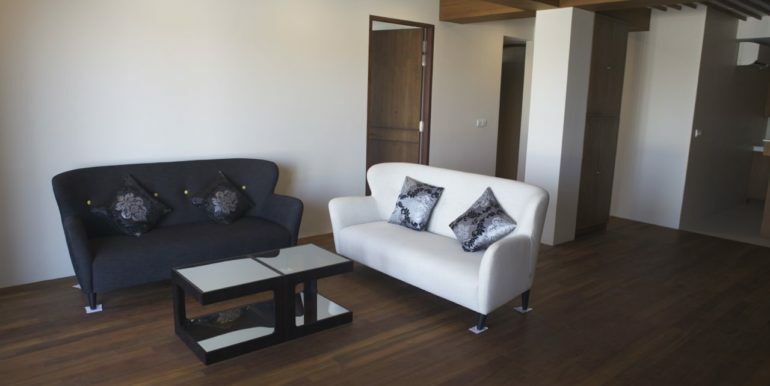 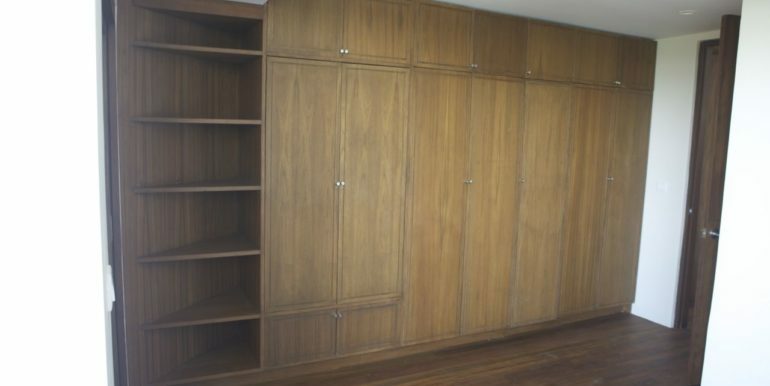 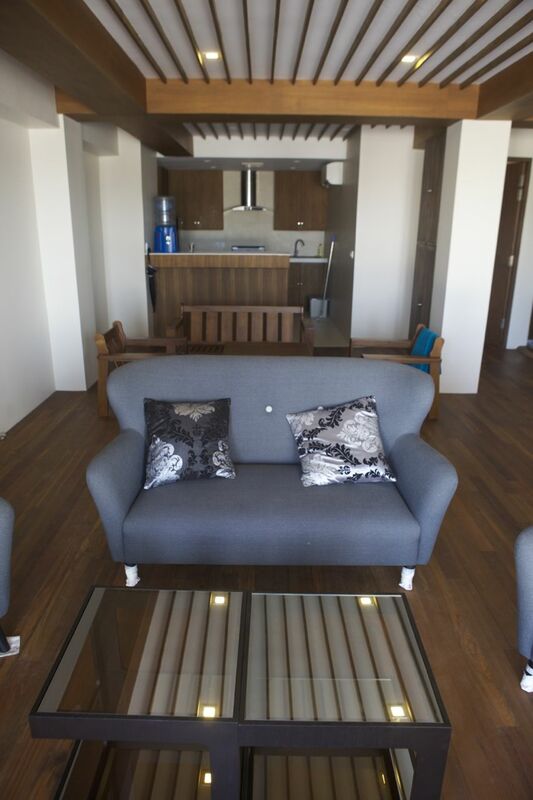 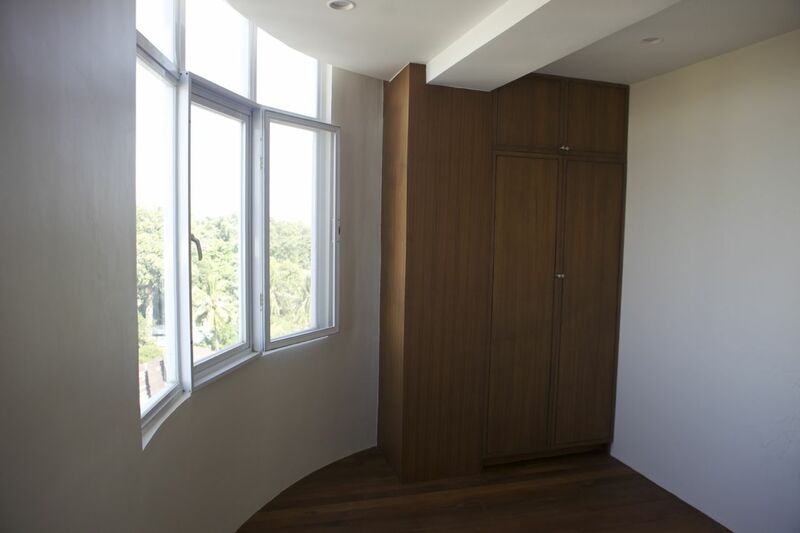 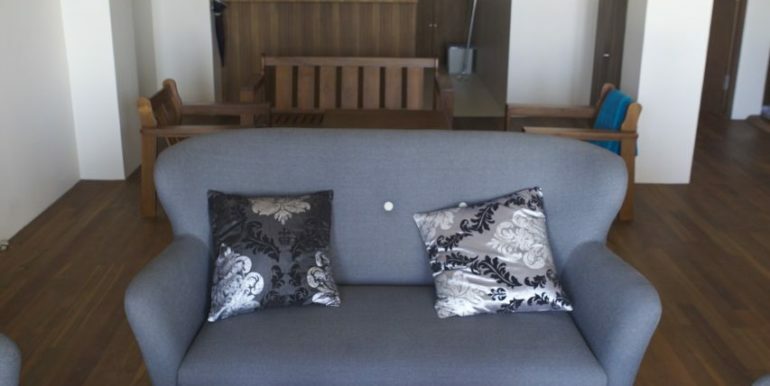 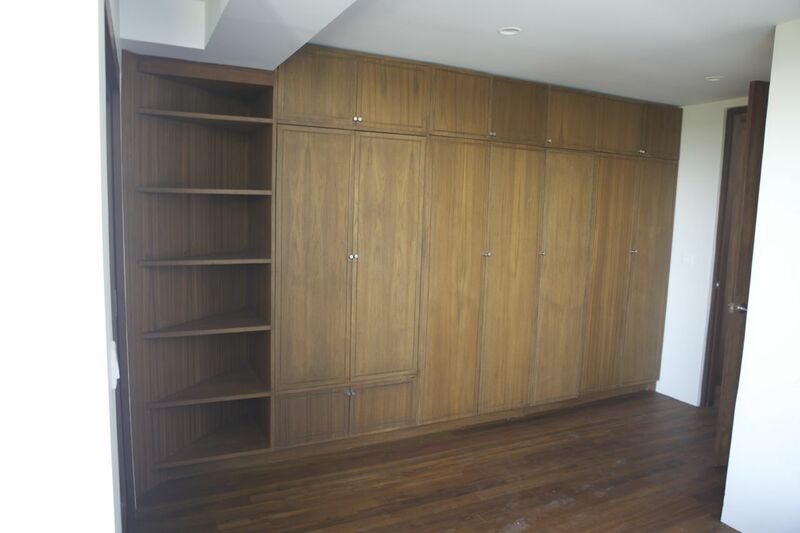 The furnishings used throughout the unit are fairly new and very tasteful. 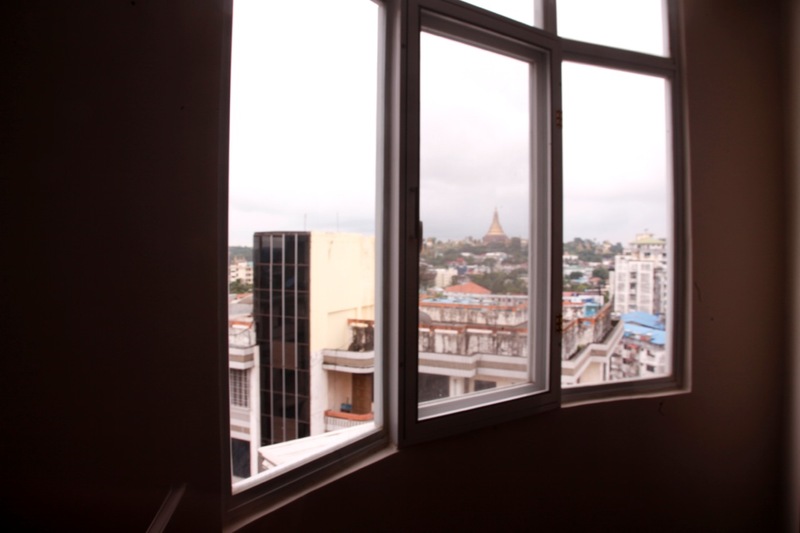 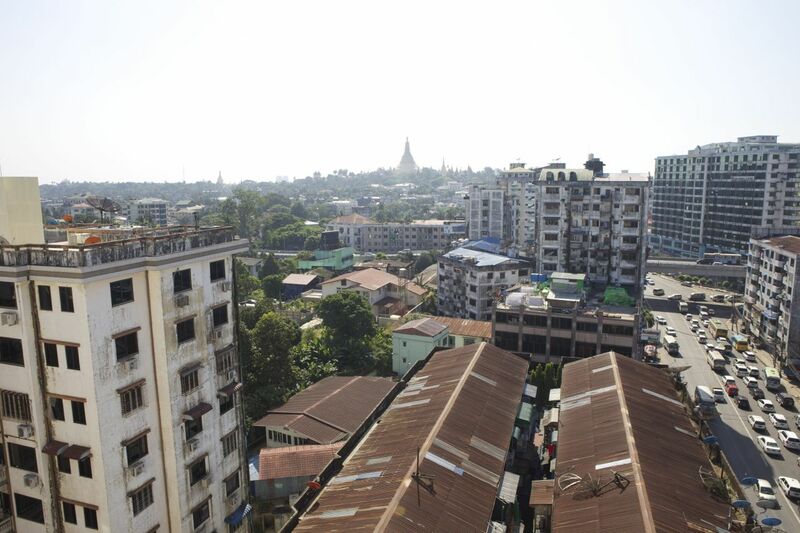 The unit is located on top of a building not far from the Shwegondaing Junction but does not suffer from undue noise. 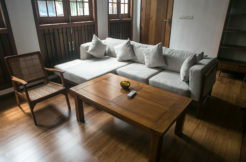 It is within an easy commute of the schools and offices of Golden Valley, while downtown is an easy 15-minute taxi at most times. 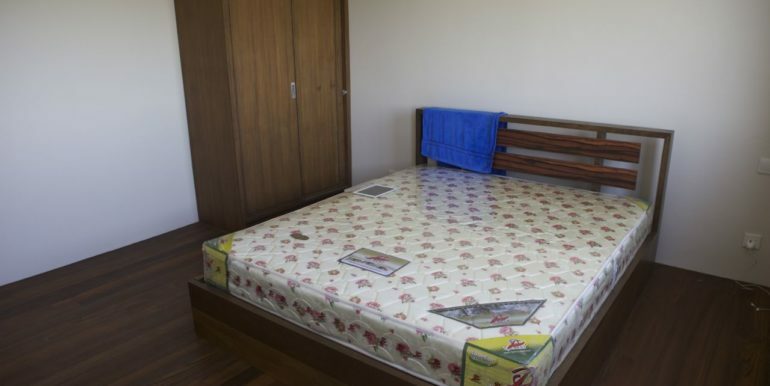 The flat is available for rent today for $2000 per month. 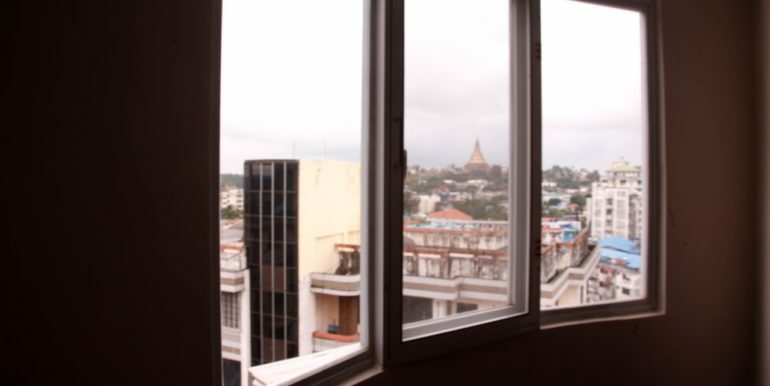 Please contact Myanmar Real Estate on 095082237 (English) or 09794920181 (English or Myanmar) for more information or to arrange a viewing today.